The original target was set at AU$250,000. This was a guesstimate as to how much we would need to get Charlie to MSKCC in NYC for the vaccine therapy. Being a trial, the drug itself is actually free but the other costs quickly add up - doctors bills, costs for tests/scans; and from any unexpected complications etc. Then there is the cost of flights and accommodation for the multiple trips we will have to make to NYC over the next 1-2 years. And you also have to take into consideration currency conversion costs and gofundme fees/commission which is approx 7% of donations. So currently we've got approx $15k less than the total amount that it says we have on the gofundme page. $250k was therefore set as a rough estimate at the start. We have heard other families have been charged upwards of $600k for the vaccine therapy. We are hoping it won't cost us anywhere near as this much though, as we think MSKCC will accept that the majority of tests can be performed here in Australia. Most of these tests would actually be performed as routine follow-up in Australia over the next two years anyway, but because it is a trial there are strict rules about where these tests are performed/who interprets the scans etc. 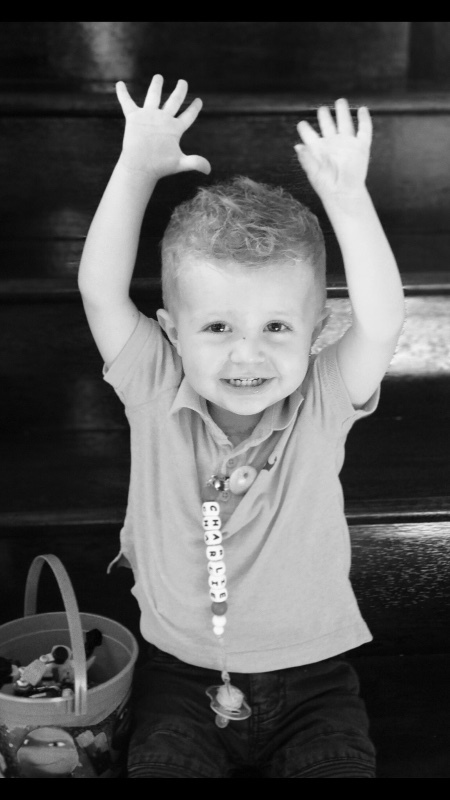 We are expecting to hear from MSKCC later in April as to how much they want transferred in to their account before they formally accept Charlie as a patient. We will then have a much better idea what our target actually is. So in the meantime we have increased the current target, which was always a relatively conservative estimate. But please be assured that in the unlikely event we raise more than we need, any excess amounts raised will be donated on to childhood cancer/neuroblastoma charities once Charlie's remission is sustained. Thank you for your understanding and if you have any questions about this please email us at mark@chasingcharliescure.org. We know people are donating/raising considerable amounts of money, so we feel it is important to be as transparent as possible in this regard. 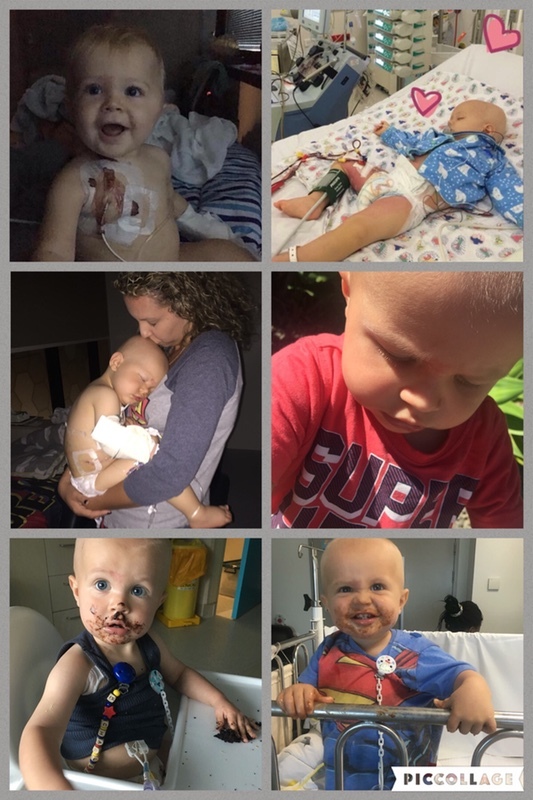 Thank you for visiting the fundraising page of our Superhero Charlie Shirran, a gorgeous 1 year old little boy who was devastatingly diagnosed with stage 4 high risk neuroblastoma in March 2016, at just 9 months old. Neuroblastoma is a cancer of specialised nerve cells called neural crest cells. These cells are involved in the development of the nervous system and other tissues. This type of cancer almost always only occurs in children. There are many types of neuroblastoma but they are broadly classified into low, medium or high risk, each with different treatments and prognoses. Unfortunately, Charlie has the most aggressive high risk form. On diagnosis, the cancer had already spread to his bones, which is how his Mum & Dad discovered it, after noticing a hard lump on his face. It is very rare for a child under 12 months to be diagnosed with such an aggressive form. 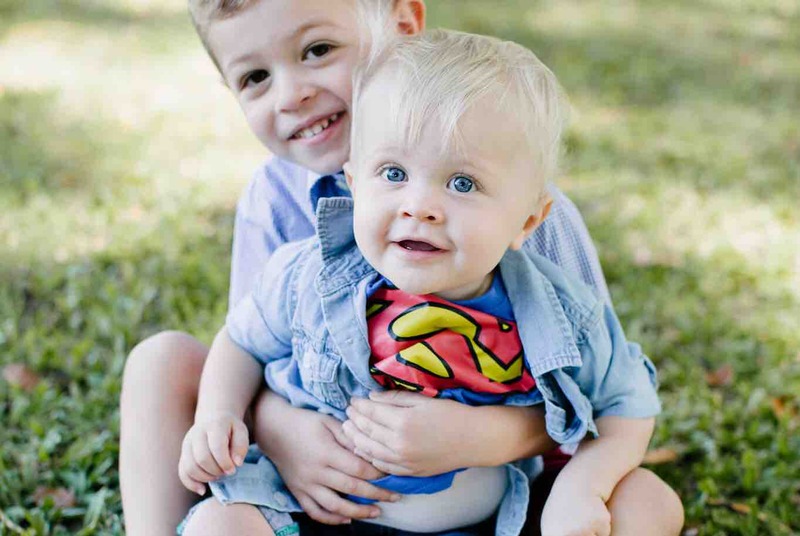 In fact, Charlie may well be the only baby in Australia to be diagnosed with high-risk neuroblastoma this year. The duration of standard treatment, which Charlie is currently undergoing, is 12 months long. He has had 4 months of intensive chemotherapy through a central line in his chest, major surgery to remove his primary tumour, a 5 week long stem cell transplant where he was kept in isolation because of the risk of infection and he is now embarking on radiotherapy followed by 5 months of immunotherapy. The treatment he is receiving will very likely lead to long term chronic health problems eg deafness, infertility, heart failure, learning disorders etc. According to best evidence, this will give him a 50/50 chance of still being alive in 3-5yrs. That's better than 15yrs ago when this diagnosis would almost certainly have been a death sentence. Even after this gruelling treatment regime, relapse rates for high-risk neuroblastoma patients are high. Tragically, standard treatment options for cases of relapse are very limited. Patients are faced with huge, huge costs of seeking treatment in the USA, where many trials are taking place. The plan is now for Charlie to go over to the States as soon as his standard treatment finishes in Australia, where he will receive a vaccine aimed to prevent relapse of this dreadful disease and hold him in remission. Vaccines of this kind are extremely expensive and could cost the family up to half a million US dollars each. With this in mind, the 'Chasing Charlie's Cure' appeal has been set up, to try and raise funds so that Charlie and his incredible family can be supported through this, their greatest challenge. So, together, we can give Charlie his very best chance of beating this torturous disease. And of course, any money not used directly for Charlie's treatment will go straight to neuroblastoma research, to help fund the incredible institutions who are striving to rid this world of cancer. Please dig deep for an amazing cause, to help save our incredible Superhero! Thank you so much for your support. For that perfect 'smile of the week'.